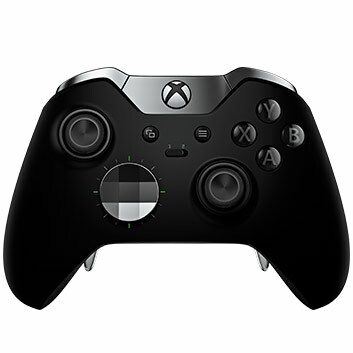 The Xbox Elite controller adapts to your hand size and play style with configurations that can improve accuracy, speed, and reach with thumbsticks of different shapes and sizes. 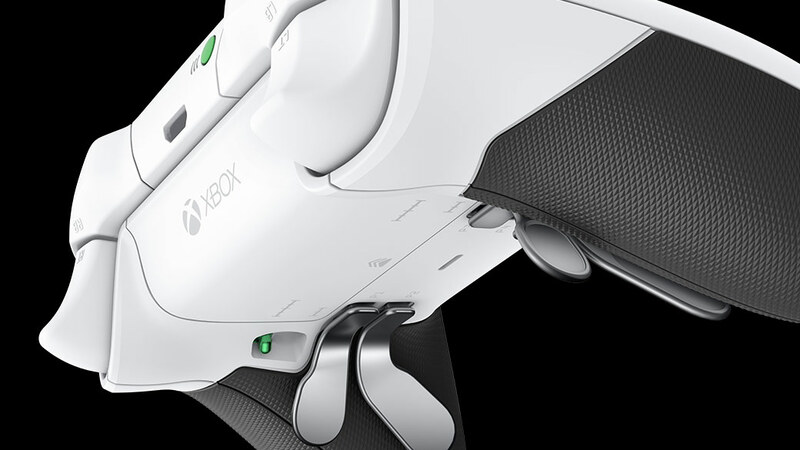 Swap between a variety of metal thumbsticks and D-pads for personalized control and ergonomics. 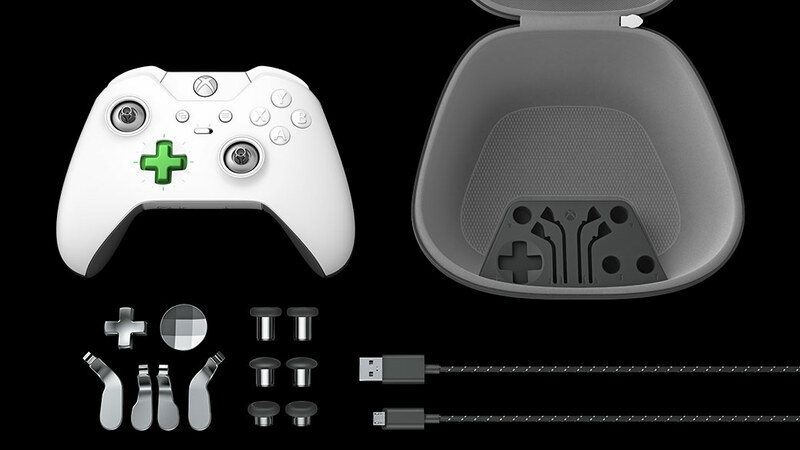 The Xbox Elite Wireless Controller has four slots for interchangeable paddles that you can attach or remove without any tools. 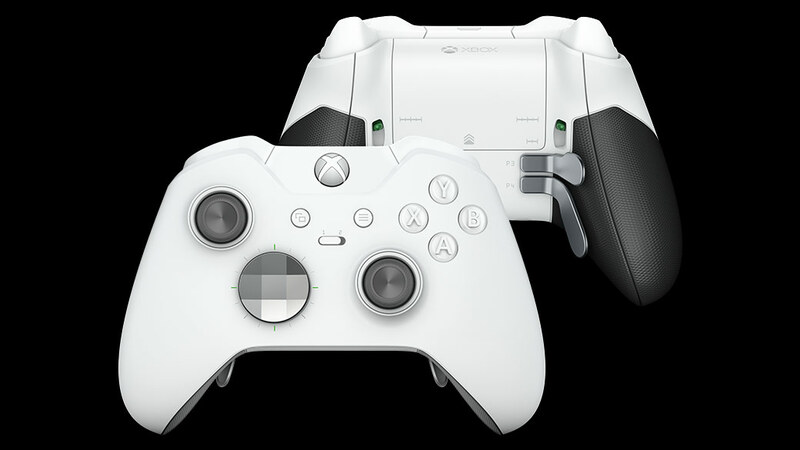 The paddles give your fingers more control, so you don’t have to take your thumbs off the thumbstick to execute intricate jump, aim, and shoot combinations. 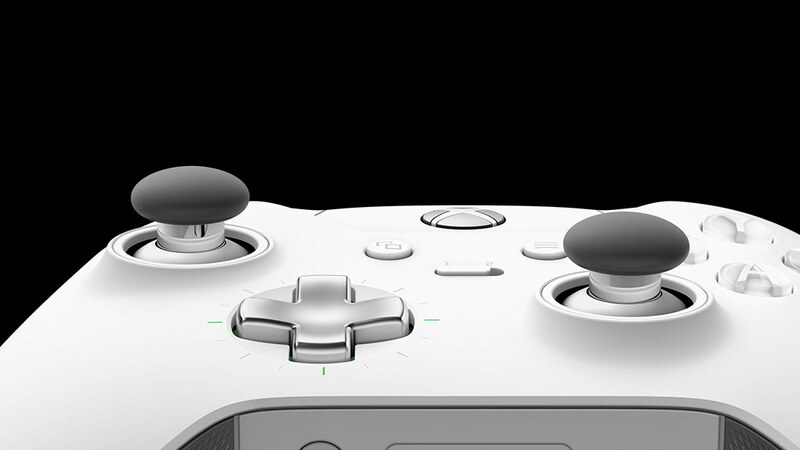 With the app*, you can assign a wide range of inputs to each paddle. Customize your experience even further with an easy-to-use app. 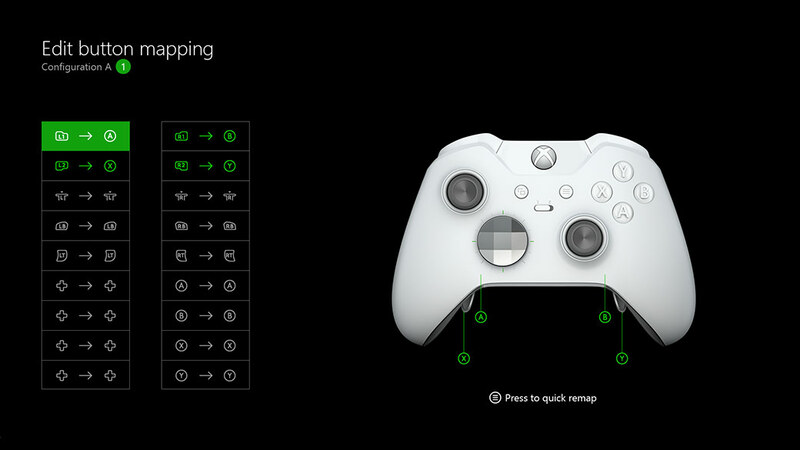 * Adjust trigger min/max values, thumbstick sensitivities, button assignments, and more. Create as many controller profiles as you like in the app and instantly change between 2 of them in game with the built-in Profile Switch. Every surface and detail is designed to meet the rigorous demands of competitive gamers: low-friction, reinforced rings around each thumbstick minimize wear and provide buttery-smooth action, while the rubberized diamond grip gives the controller a more substantial feel and added stability. 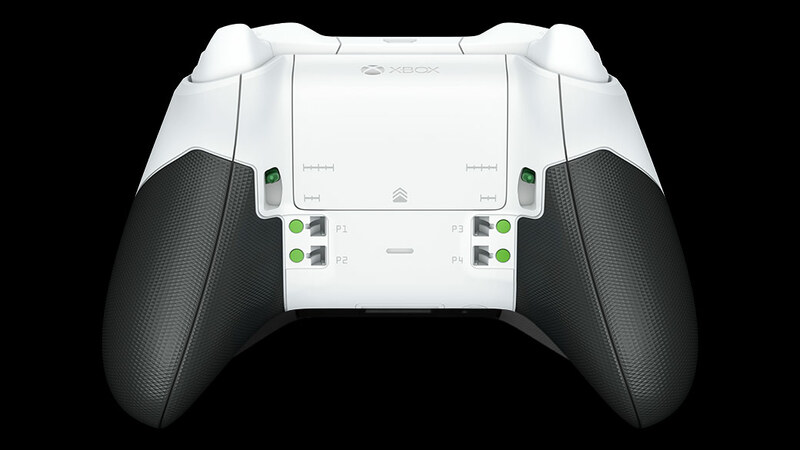 The enhanced grip also allows you to hold the controller with less effort, so you can play longer and more comfortably. The soft-touch finish on the top case provides a luxurious feel and nonslip control. For use with Xbox One systems and PCs running Windows 7 or later. PC use requires included USB cable or Wireless Adapter. 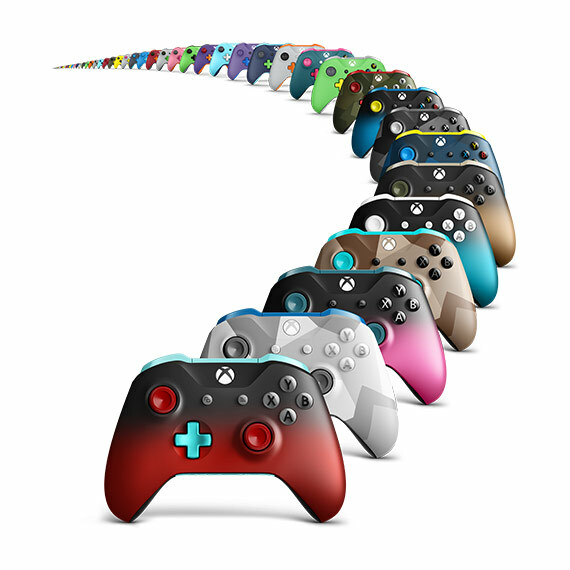 Drivers available at xbox.com/xboxone/PC-controller. Includes 3.5mm stereo headset jack. 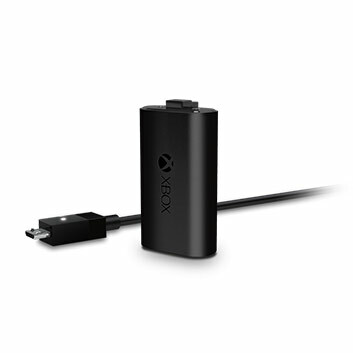 Also compatible with the Xbox One Stereo Headset Adapter and all other controller accessories made by Xbox. A, B, X, and Y, D-pad up, down, left, and right; Left and right bumpers; Left and right trigger activation; Left and right thumbstick click.